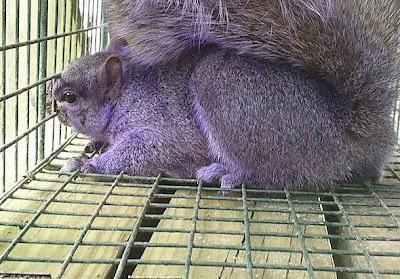 A Couple in Jersey Shore PA found a rare purple squirrel. This couple Percy and Connie Emert had spotted a purple squirrel on their property but no one believed them. 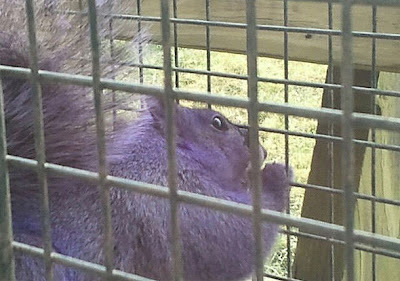 Their neighbors also thought that this couple dyed the squirrel in purple. 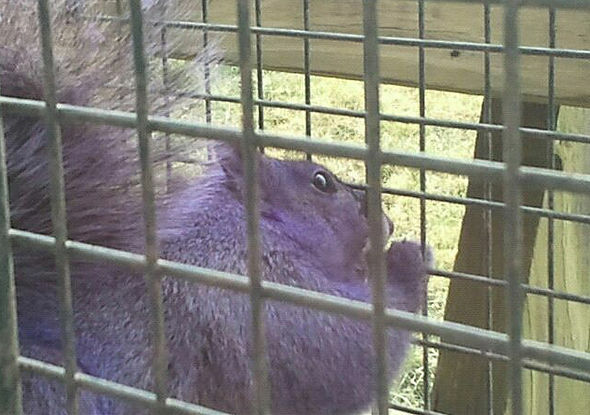 The news about the purple squirrel also became a hot trends in buzzfeed this morning. according to AccuWeather sites, connie Emert keep telling her husband that she saw a purple one out in their yard then his husband start to make a trap to caught that little purple things. The Emerts plan to release the squirrel back into the wild in the next few days. Now this unique purple squirrel was put in an Extra big cage so he has a big room space to run around. The last time the world saw a purple squirrel was in the UK in 2008. You can read about Pete the Purple Squirrel on Dailymail here. So What do you think of this purple squirrel? It seems that why this squirrel has an unusual hue is still a mystery.